Facebook's popularity has plummeted among the young, the survey also shows. Most American teenagers are constantly using social media, and half admit that it distracts them from looking up and talking to people right in front of them, a new survey shows. More teens now say they prefer texting to talking to other people in person, and they admit smartphone apps are waking them up at night and distracting them from homework, the survey by Common Sense Media shows. No surprises there to anyone who knows a teenager, but the survey also shows that teens are very much aware of the pitfalls of social media use. They suspect that social media companies are trying to manipulate them, and they deny that their constant use of Instagram, Snapchat and other apps is making them lonely. 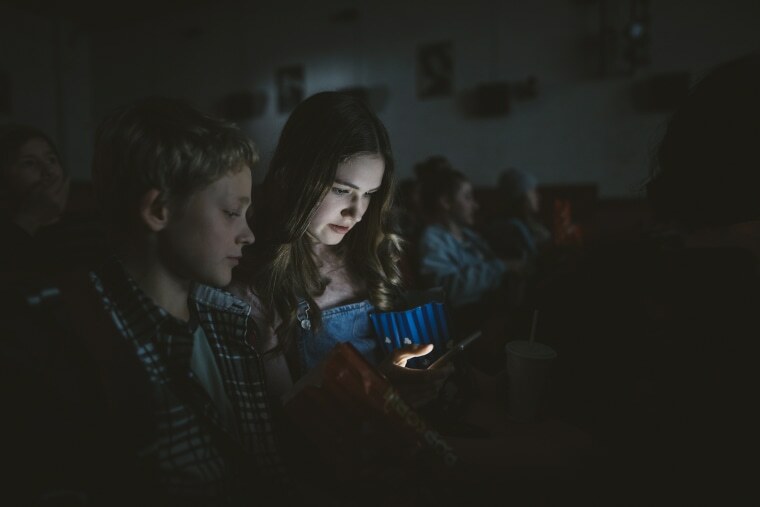 “Social media has transformed adolescence and the lives of millions and millions of teens,” said Jim Steyer, CEO and founder of Common Sense Media, which conducts research into media use. Common Sense interviewed more than 1,100 teens aged 13 to 17 for about three weeks this spring and found some surprises. Teenagers are not mindless slaves to their smartphones, the survey found. “Teens are often depicted as being heedless of the consequences of spending so much time on their smartphones,” the report reads. More than half — 57 percent — said social media distracts them from doing homework and 54 percent admitted that they sometimes ignored people they were with to pay attention to social media. And 29 percent said a text or other notification had woken them up at night. “A large proportion of all teens (44 percent) say they get frustrated with their friends for being on their phones so much when they’re hanging out together,” the report reads. There’s no doubt that mobile devices dominate the lives of young people. More than 80 percent of the teenagers surveyed said they used social media. That’s no more than in 2012, but now, 70 percent say they’re using social media multiple times a day, compared with just a third of them in 2012, the survey found. Apps often drive this. One example is the Snapchat “streak,” in which users must send at least one message every single day to certain friends and acquaintances. And while the teens don’t necessarily fight back by refusing to be drawn in, they are at least aware of what’s happening, the report showed. “Nearly three out of four teens (72 percent) believe that tech companies manipulate users to spend more time on their devices,” the report reads. “We find it very encouraging that teens are very aware that social media companies like Instagram, Snapchat and Facebook are manipulating them. That means that they’re increasingly aware that those companies don't necessarily have their best interests at heart,” Steyer said. But teenagers like the technology. The proportion of teens who say their favorite way to communicate with their friends in person dropped from 49 percent in 2012 to 32 percent in 2018. It’s not all negative. A quarter of the teens surveyed said these apps make them feel less lonely, and only 3 percent said using them makes them feel more isolated. Parents can and should limit time spent on mobile devices and using social media, Steyer said. “We have to get our teens off of devices, away from social media and platforms," he said, "away from just staring at phone screens and out in the beautiful outdoors." The survey also puts to rest any lingering doubts that Facebook is for old people only. Just 15 percent of the teens surveyed said it was their first choice in social media.